You want to blast off to planet Zoltran, and experience some music which doesn’t fit into the pre-conceived notoins of rhythm, structure and the satanic 4/4 structure of contemporary pop music? 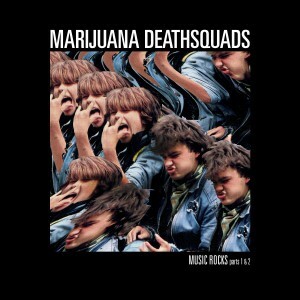 Then sit back, light one up and let marijauana death squads make your mind melt. MDS sit somewhere between improvisation, psychedelia, and Kenny G. Imagine you take the biggest bong hit of your life, and then waltz into a performance which is a rap battle between Flash Gordon and Mighty Mouse with the band from the bar in Star Wars Episode IV making the beats. John Cage and Lady Gaga get into a fist fight in hell.